GMB have welcomed the decision of Kensington and Chelsea Council to ensure all contracted staff working for the borough are paid the London Living Wage, which currently stands at £10.20 per hour. 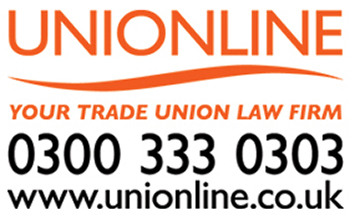 GMB will approach contractors to ask them to get the council to amend the terms of the contract to enable them to pay the living wage without delay. “GMB welcome the decision by Kensington and Chelsea Council to adopt this policy that will see staff, working for the Council on tendered contracts, paid the London Living Wage, as they do with staff directly employed by the Council. “This decision is to be applauded, and will have a big effect on many GMB members. At the moment, some skilled workers can earn less than non-skilled workers, sometimes well below the London Living Wage. “We hope that this will also apply to those staff working in the Royal Parks as these are the lowest paid group of workers, many of whom have completed apprenticeships, yet can earn less than an unskilled worker working in the authority at the same time. “NSL members in Kensington and Chelsea recently voted for strike action in regards to having the London Living Wage as they had gone through some difficult negotiations on pay.